At the 2017 Committee of Supply debate, Coordinating Minister for Infrastructure and the Minister for Transport, Mr. Khaw Boon Wan, set a new Mean Kilometre Between Failure (MKBF) target of 300,000 train-km for the overall MRT network for 2017. 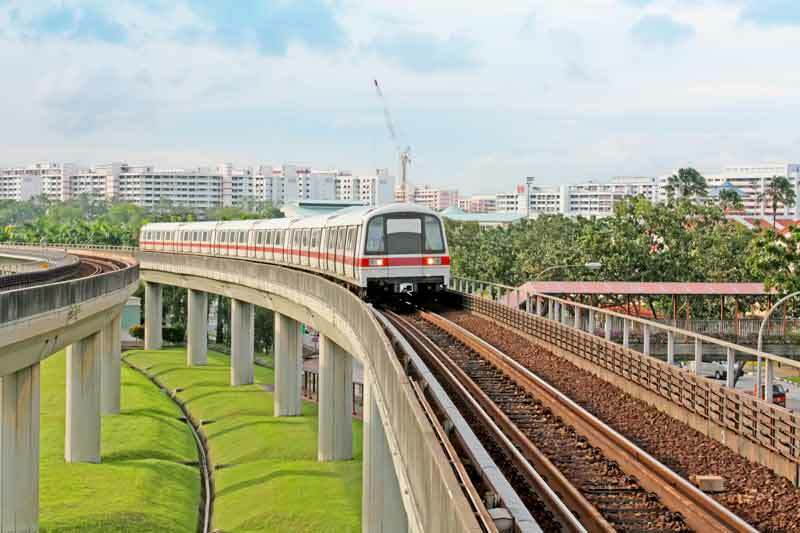 The Land Transport Authority (LTA), together with local operators and suppliers, will continue to work together to improve Singapore’s rail reliability performance. a) Installing condition monitoring instruments on the new power system and trains for the North-South and East-West Lines. As heating is often a leading indicator of critical asset failure, the new power system will have features that enable real-time reading of the switchgear panel’s temperature. It will also have sensors to detect cable insulation failures, amongst others. The upcoming tender to replace the 66 trains in the first-generation fleet will also require the deployment of sensors to monitor the performance of various train sub-systems and track conditions. b) New-generation Automatic Track Inspection system for the Downtown Line (DTL). Imaging sensors and laser scanners will be installed below the carriages of four trains to monitor track conditions for early signs of anomalies so that they can be fixed before a fault occurs. c) Use of automation technology such as drones or all-terrain vehicles. Today, MRT tunnels are inspected manually at night, which is labour-intensive and workers have limited time to undertake the works effectively. LTA has conducted a Request for Information (RFI) to seek proposals on how new technology and equipment could be deployed to help improve the efficiency of tunnel inspections. To analyse and manage the information collected through the sensors and maintenance process, LTA will be issuing a Request for Proposal (RFP) to develop a comprehensive and robust Enterprise Asset Management System (EAMS). The EAMS will consolidate and integrate asset information distributed across all rail lines into a single system. Trend analysis and prediction on faults can then be developed, thereby enhancing their capabilities to detect faults early, and allow LTA to better plan and prioritise their maintenance and renewal works. To spur the development of more innovative ideas, the Ministry of Transport and LTA have set aside grants to support promising research proposals by academics, industry and private companies on predictive maintenance, inspection and maintenance automation, as well as system design and upgrades. LTA will be issuing calls for proposals later in the year. Read LTA&apos;s press release here.